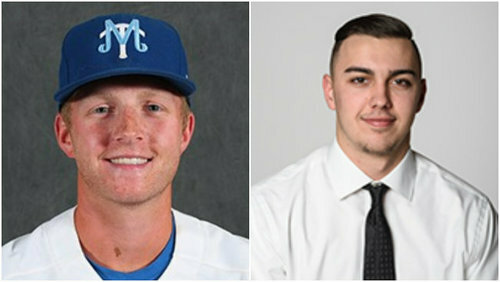 Following the Northwest Indiana Oilmen clinching the Midwest Collegiate League title last night, the league office announced the MCL awards and All-League team. Two Generals, first baseman Brett Stratinsky and pitcher Ryan Czajowski, were named to the squad. Here is a summary of their respective seasons. Stratinsky, a rising senior at Middle Tennessee State, was a midseason addition for the Generals and make his impact known for the rest of the way. He was second on the Generals with four home runs and finished fifth league-wide. Stratinsky also holds two Joliet single-game records in RBIs (5 vs Bloomington on July 28) and home runs (2 at Crestwood on July 6). Czajowski was the ace this summer for the Generals pitching staff. The Moraine Valley CC product led the team in innings pitched (46 ⅔ ), strikeouts (40) and in earned run average (2.31). He also was an MCL All-Star and started the game for the West squad. Czajowski most impressive and meaningful start came on the second to last day of the regular season against the Bobcats. In the first game of the doubleheader, he went all seven innings on 122 pitches and gave up only one earned run in the 7-5 win. Outside of the Generals, here is who captured the league awards and how the league team was compiled. © 2019 Joliet Generals Baseball. All rights reserved.